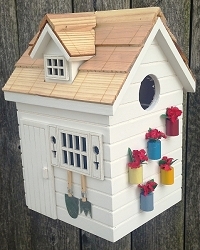 A quaint cottage for your feathered friends! 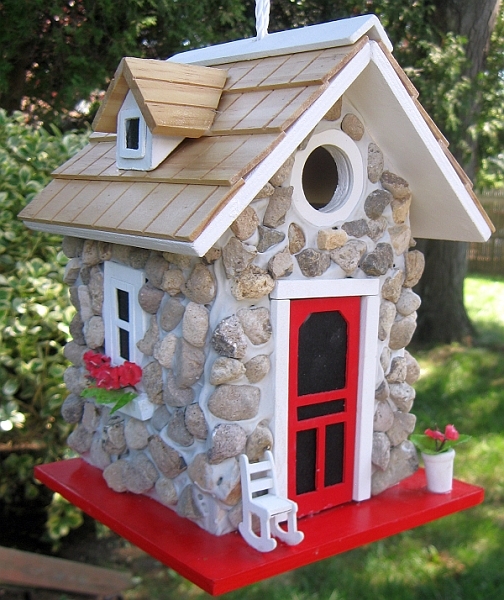 This quaint stone cottage has a pine shingled roof and features a sturdy, river stone facade as well as a window box and flower pot with bright red flowers. 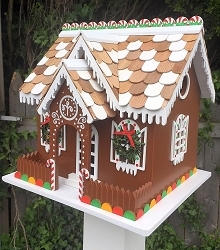 We've topped it all off with a white trimmed, red door detail and a white rocking chair. 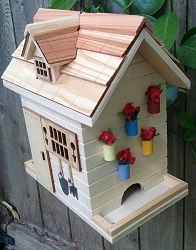 The 1 ¼” opening is designed to accommodate nesting birds such as wrens, finches, chickadees and nuthatches. 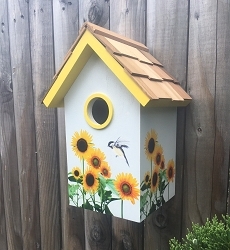 The house has all of the qualities for a birding enthusiast including a back wall clean out, drainage, ventilation and an unpainted interior. 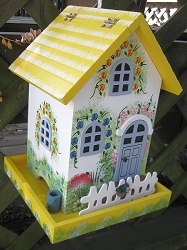 Loop the heavy duty nylon cord to the desired height and put this house where flying visitors will find it. 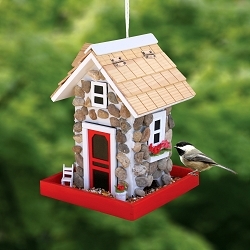 The Fieldstone Guest Cottage Birdhouse makes a wonderful gift for the backyard birding enthusiast! 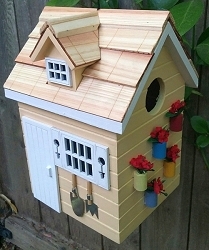 Constructed of exterior grade ply-board, poly resin details, pine shingles for the roof and a non-toxic outdoor paint. 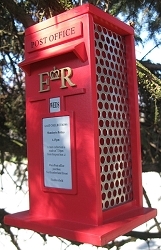 To preserve the natural beauty, we recommend applying a non-yellowing polyurethane finish over the paint. Climate and the elements will weather the house and change its appearance over time; however, weathering will add to the house’s natural charm without compromising its function.